The first 48 hours of a lamb’s life are critical – around 90% of lamb mortality from birth to weaning occurs within this period. It is also a critical period of time for the ewe. She is at risk during birth, has her highest demand for food and is vulnerable to sudden changes in diet and conditions. Lambing success is very dependent on the condition of the ewe coming into lambing and the conditions at lambing including feed on offer, shelter and predator control. The survival of single and twin born lambs is mostly affected by birth weight, which in turn is influenced by the ewe’s condition over pregnancy with late pregnancy being the most important phase. Lamb birth weight can be an indicator of energy reserves of the lamb and its exposure risk to hyperthermia or dystocia. The ideal birth weight for lambs is between four and six kilograms (kg) and this is influenced by the nutrition of the ewe in pregnancy. Having ewes in condition score 3.0 at lambing ensures that survival and production are at high levels. Twin lambs are much more sensitive to changes in ewe condition score and twinning ewes should be given higher priority when feed supply is limited. Higher condition score of the twinning ewe at lambing (condition score 4.0 compared to condition score 3.0) can mean an increase in lamb survival of more than 10%. On-farm case studies of lamb survival show that 15–20% more lambs survive when born to ewes of condition score 3.0-3.5, compared with ewes of condition score 2.0-2.5. 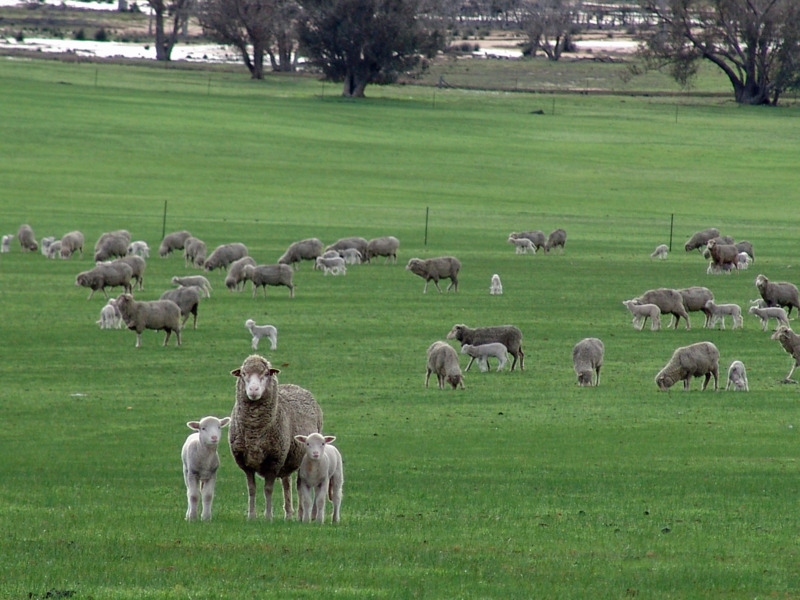 Any individual ewe whose condition score is less than 2.0 prior to lambing should be managed separately and have increased access to good feed. Twinning ewes are more likely to be in danger than single bearing ewes, with at least 2–3% higher mortalities for the same condition score. Ewes in condition score over 4.0 (particularly single ewes in a good year) may be at increased risk of having lambing difficulties (dystocia). Ewe mortality can be a serious issue when condition score falls below 2.0 during late pregnancy or at lambing. Poor nutrition and low condition score have detrimental effects on ewe and lamb behaviour, contributing to increased lamb mortality. Ideally the ewe and lambs should remain at the birth site for at least six hours; twelve hours being optimal. If feed on offer is low the ewe is more likely to move off the birth site to look for food. Ewes in poor condition at lambing will also be more likely to search for more food, leaving the lamb or lambs behind prior to suckling. Poor nutrition is likely to impact on the ewe’s maternal response to groom the lamb and ensure suckling takes place. Weather has the greatest impact on twin born lambs as they have smaller liveweight per surface area. Wind chill is also important and cold and wet conditions are worse than cold conditions without rain. Evergraze experiments found that twin lamb survival increased by 15% when lambs were given shelter; twin lamb survival at the average birth weight increased from 76% in the open areas to 87% in the sheltered areas. It is critical that lambs receive colostrum during the first 24 hours of life in order to ensure adequate absorption of colostral antibodies. Antibodies are large protein molecules that can cross the intestinal wall and enter the blood stream of the lamb only during the first 24 to 36 hours of life. Absorption of these antibodies is most efficient during the first few hours after birth. Ewe colostrum can vary in quantity as well as viscousness. Ewes in good condition will produce good levels of fluid colostrum. Those in poor condition may produce colostrum that is thick and difficult for the newborn to suckle.